It's Jacquie here and I was thrilled when Bonnie asked me to Guest Design for December. My eye is always drawn to clean and graphic design, so it is no surprise that I am in love with the Chevron Striped Twill. Deciding to use the twill was the easy part, narrowing it down to a single color proved to be impossible! I wanted my cards to look like gifts wrapped, tagged and tied with the ribbon - how did I do? To keep things interesting, I tied each of the ribbons in a different way. First up is the red Chevron Striped Twill. 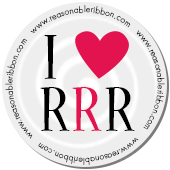 The ribbon is folded back on itself 3 times to create a ruffle. Did you know Baker's Twine comes in solid colors and that you can get it here at Really Reasonable Ribbon? 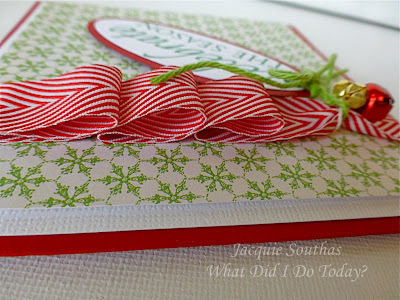 I used the green Baker's Twine to tie my tag onto the ribbon. 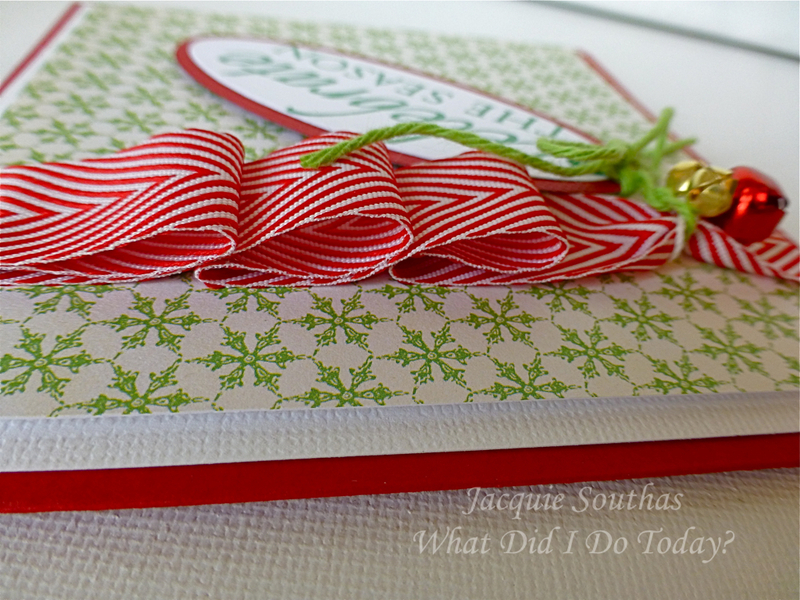 The second card showcases the turquoise Chevron Striped Twill and red solid color Baker's Twine. This time I twisted and tied off the ribbon where the pieces overlapped. 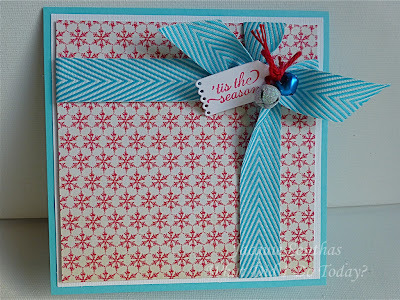 The final card in the set highlights the celery Chevron Stripe Twill and blue solid color Baker's Twine. 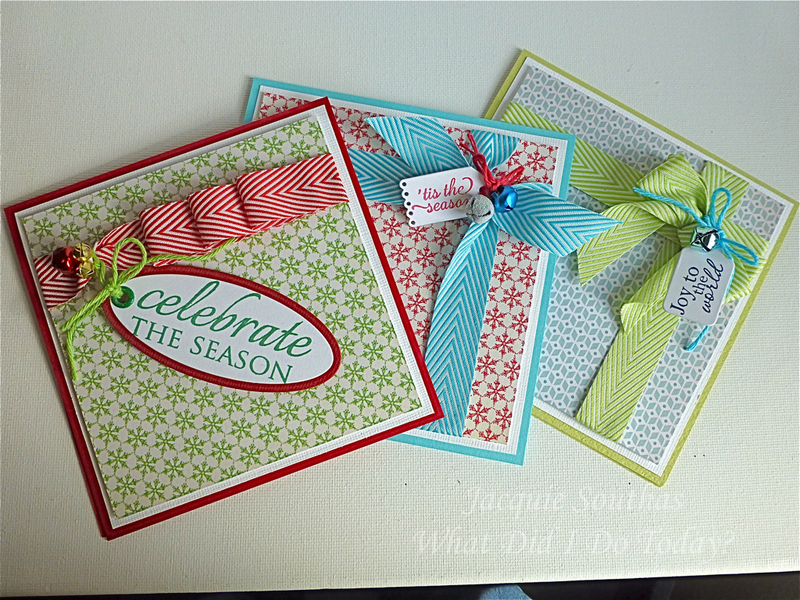 Oh my goodness Jacquie - your cards are gorgeous!! Everyone knows I struggle with the CAS style, but you nailed it!! 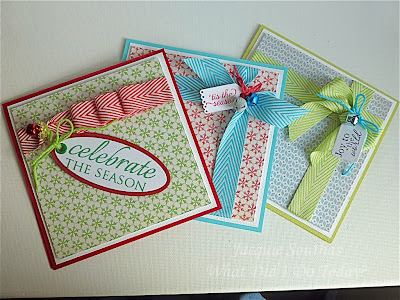 I love the three different ways you used the ribbon. Very creative. These are AMAZING. You know that I cannot do CAS cards. I always admire yours!!!! These cards are so pretty, and exactly that - clean and graphic. Such a fresh, happy feeling in these projects! Love this! CAS and BEAUTIFUL!!!! Jacquie, these cards are awesome. 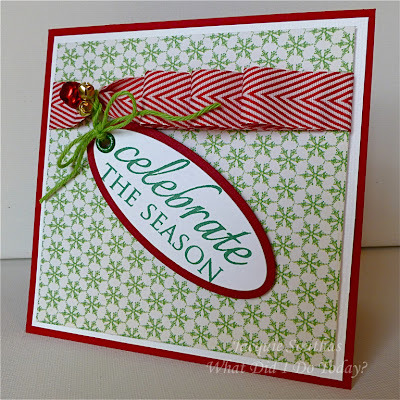 I just love this ribbon and twine! Jacquie- these are darling!! ;) made me smile, they really turned out great!